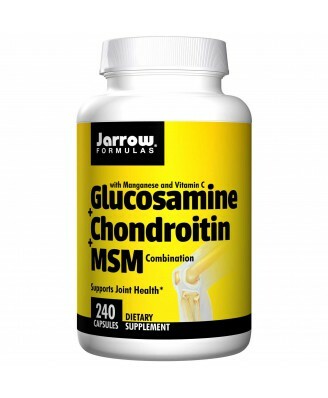 Jarrow Formulas Glucosamine + Chondroitin + MSM Combination provides efficacious quantities of glucosamine sulfate, chondroitin sulfate, and MSM combined with vitamin C and manganese. 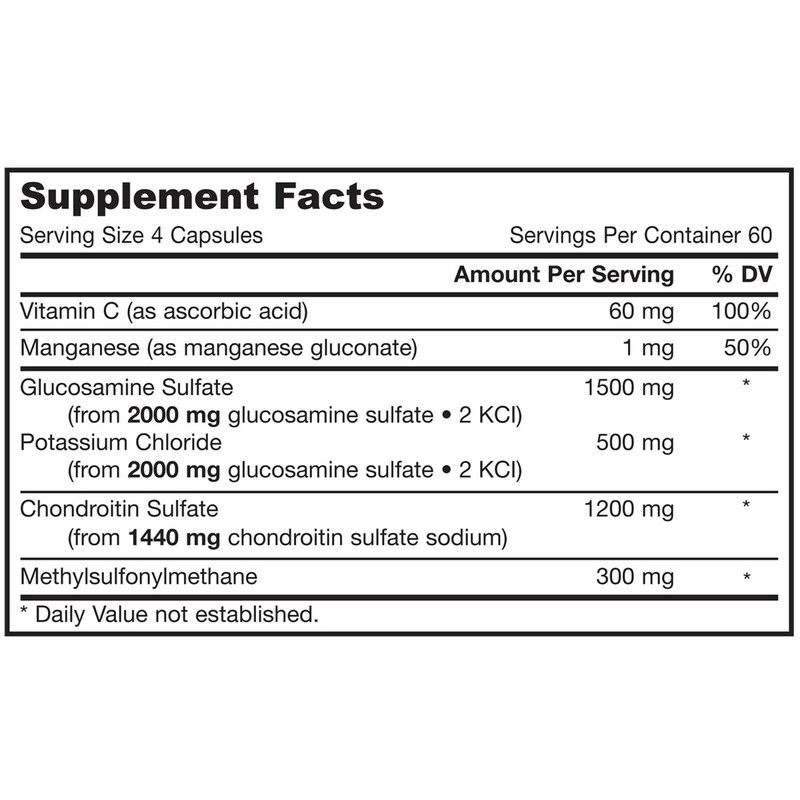 Glucosamine + Chondroitin + MSM Combination provides efficacious quantities of glucosamine sulfate, chondroitin sulfate, and MSM combined with vitamin C and manganese. Methylsulfonylmethane (MSM) is an organic source of sulfur and an antioxidant mineral. 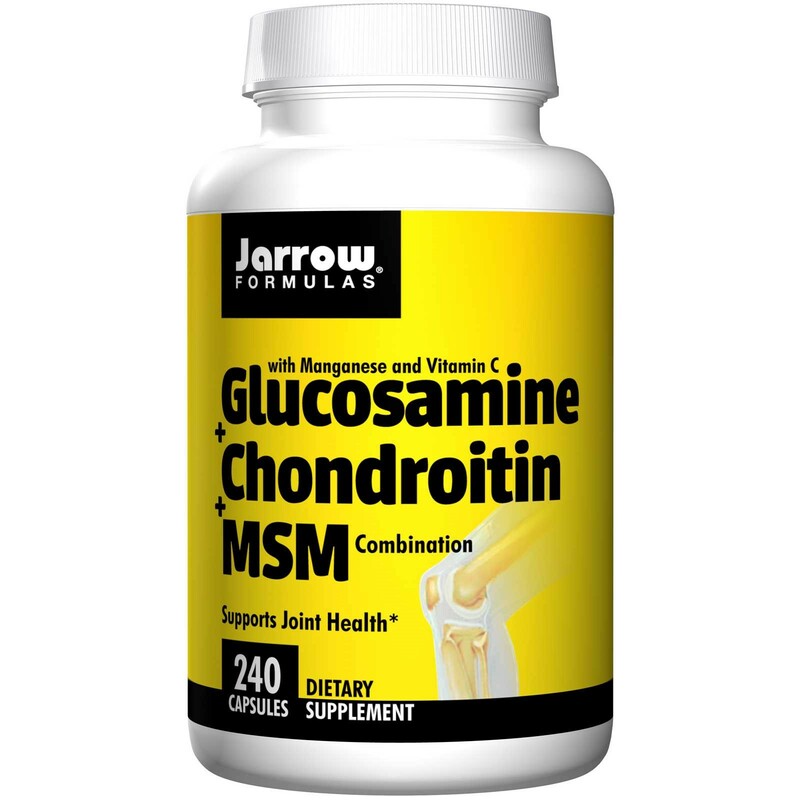 Jarrow Formulas Glucosamine + Chondroitin + MSM Combination is Joint Sustain nutrition, providing a Sodium Free form of GS stabilized with only potassium chloride (KCI). 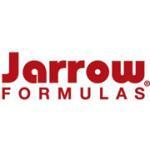 For best results, use with Jarrow Formulas JarroSil, the biologically Actived Silicon.